Welcome to this week's Purple & Gold SoCon Power Rankings for the week beginning 9-29-14. The power ranking are published weekly on Tuesday. SoCon's Week 6 has three conference matchups and 2 teams playing out of conference games against Big South opponents. Last week, The Citadel helped improve the SoCon record vs. the Big South with their victory over Gardner-Webb, and two wins this Saturday would even up the record at 4-4. The Citadel will kick off the day at Wofford, which is probably the premier conference matchup of the weekend. Then Western Carolina visits the state of South Carolina for the second consecutive week for the first of the day's two contest with a Big South teams, Presbyterian. Later in the day, Mercer remains on the road as they make their first trip to Samford, then VMI hits the road to Chattanooga for what will be their third conference game of the season, and possibly their toughest opponent. To round out the day, the Big South's nationally ranked #3 team, Coastal Carolina visits the offensively struggling Paladins in Greenville, SC. The Mocs are coming off a big win over one of their defending co-champions, Samford. Chattanooga should have little problem with the Keydets, unless they look past VMI to Tennessee. The Bulldogs are coming off a disappointing loss to Samford, in a game many felt may determine the conference championship. It was a big game, but not that big. This weeks game against Mercer at home, should start the healing process caused by the UTC loss. The Cats are celebrating one of their biggest wins in recent history, breaking several negative streaks, on the order of a 22 game DI road loss streak, and a 15 game road loss streak to SoCon opponents. If the Cats take it one game at time, and the offense continues to produce, they should increase their record to 4-1 after Saturday's game.. The Bulldogs rebound from a 2 point loss to crosstown rival Charleston Southern and easily handled the Runnin' Bulldogs of GWU. This week's matchup against the Terriers should be a big indicator as to the direction of two of the SoCon's usual top tier teams. A loss by either, will really hurt that team. The Terriers cruised to victory over the out-manned UVA-Wise team as expected, but did that victory prepare Wofford of the rising Bulldogs of The Citadel? The Paladins remain at home for the second consecutive week, and will have an even greater challenge that Western Carolina presented this past weekend. The Paladins will meet the #3 ranked Coastal Carolina in Greenville, but the home field advantage will mean little. The Bears won their first Southern Conference game last weekend against VMI, but the competition will be much stiffer this week, as the Bears will travel to Birmingham to meet the Samford Bulldogs. The Keydets competition gets even tougher this week, as they travel to meet the Mocs in Chattanooga. On October 4th, the Catamounts travel back to the Palmetto state for the second straight week, this time, traveling to Big South Conference member, Presbyterian College. This game will mark the 18th all-time meeting between Western Carolina and Presbyterian. The Cats currently lead the series 9-8 and are in the midst of a nine-game winning streak in the overall series. The Blue Hose have not defeated the Catamounts since 1969 when they downed the Cats 28-17 in Cullowhee. The series between WCU and PC began in 1950 and the Blue Hose won all eight of the first eight contests, before WCU began its current nine-game winning streak in 1970. The two team last played in 2008 in the most recent home and home series and both games were won by the Catamounts. Currently sitting at 2-2 overall, PC will be coming off a bye week on game day, after a 42-0 thrashing at the hands of NC State in their last game. The Blue Hose have a home game, narrow 3-point win over the Furman Paladins, and a blowout victory against NAIA's Bluefield College, 69-14. The Blue Hose were on the receiving end of another one of those blowouts, in their opening game loss, to the Northern Illinois Huskies, 53-3. The Blue Hose present a some-what balanced attack, averaging 207 yards on the ground, and 106 yards in the air, passing. The last game vs. Presbyterian: September 21, 2008 - Red-shirt sophomore Marquel Pittman hauled in an acrobatic four-yard scoring strike with just over three minutes showing on the Bailey Memorial Stadium clock Saturday afternoon. But it wasn't until Presbyterian's Cam Miller hooked a 23-yard field goal wide left that the Catamounts were able to celebrate their first road win since late October, 2005, downing the Blue Hose, 23-21. The Catamounts surprised many across the Southern Conference with a dominating performance over the defending SoCon champion Furman Paladins in a game the Cats led from the opening kickoff return drive. The victory ended a 22-game winless drought on the road for Western Carolina, and also ended the Catamount's 15-game SoCon road losing streak. The Cats scored in every quarter, scoring against what was professed to be best defense in the Southern Conference. Quarterback Troy Mitchell was 12 of 19 for 182 yards, while adding 70 yards rushing on 16 carries. Darius Ramsey ran 17 times for 113 yards and Detrez Newsome added two touchdown runs for the Catamounts. The Cats rushed for a total of 233 yards, and passed for 182 yards for a combined total of 415 yards in the game. Purple & Gold's pick was a remarkable 35-17, the final score was WCU 35 - Furman 17. In a game between two of the newest SoCon members, Mercer and VMI, a late interception by the Bears thwarted a potential tying / winning drive as the Bears notched a narrow victory over the Keydets in the first ever meeting between the two teams. With 1:32 remaining and VMI driving into Mercer territory, quarterback Al Cobb threw a fade down the left sideline. but Mercer's Zach Jackson leapt in front of the ball for the game saving interception. From there, the Bears were able to run out the clock and preserve the margin for their first-ever SoCon victory. Purple & Gold's pick was Keydets win - 35 - 28, the final score was Mercer 27 and VMI 24. In non-conference action, Wofford entertained UVA-Wise. The overmatched Cavaliers were down 28-8 at the half and despite scoring a second half opening touchdown to come within 28-15, UVA Wise was unable to stop the Terriers from rolling off 3 additional touchdowns to overwhelm the Cavaliers. Purple & Gold's pick was the Terriers win - 49-10, the final score was Terriers 49 - Cavaliers 15. In the second non-conference game of the evening, The Citadel Bulldogs upheld the honor of the Southern Conference by knocking off Big South member Gardner-Webb in convincing fashion in Charleston. The Bulldogs ran for three touchdowns and Eric Goins kicked three field goals in the win, while The Citadel defense completely shut down Gardner-Webb's running game, which finished with negative yardage. This was the Bulldogs first win of the season, after 3 disappointing losses to undefeated teams. In a game that was much more high scoring than expected, Purple & Gold picked the Citadel to win 17-14, the actual final score was The Citadel 37 - Gardner-Webb 14. 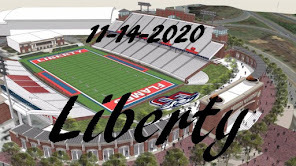 The most anticipated game of the day was played in Chattanooga, as the Samford Bulldogs invaded the Chattanooga Mocs home field for what many was predicting , and quite possibly a little prematurely, the Southern Conference championship game. The Bulldogs entered the game with a 1-0 conference record, and a win would have placed them firmly in the conference lead at 2-0. However, the preseason favorite Mocs had other ideas, as they moved out to a commanding 17-3 first quarter lead over the Dogs, then increased that to 24-3 lead at the half. Despite a Samford 14 point 3d quarter, bringing the Bulldogs to within 11 points of the Mocs at 28-17, Chattanooga scored twice in the fourth to put the game safely out of reach for the Bulldogs. Purple & Gold picked Samford to win 21-17, however the final score was Chattanooga 38 - Samford 24. For this week, Purple & Gold was 3-2, overall 6-4. Purple & Gold's WCU Player of the Game for the Catamount victory over Furman is "the entire Catamount Football Team". 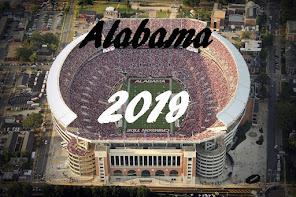 While many players are deserving of an individual award this week, such as sophomore wide receiver Spearman Robinson who hauled in five passes for 120 yards and a pair of scores, or junior quarterback Troy Mitchell who connected on 12-of-19 passes for 182 yards and a pair of scores, or freshman tailback Detrez Newsome who added two rushing scores, while junior tailback Darius Ramsey carried the ball 17 times for 113 yards and a TD. Defensively, senior Christon Gill recorded a team-best seven tackles including four solo stops and half a tackle for loss, while lineman Kelvin Ume and linebacker Daniel Riddle posted six stops apiece. Catamount linebackers broke up nine passes including three by Jaleel Lorquet and two apiece by Sertonuse Harris, Fred Payne and Trey Morgan, with Morgan and Payne - both pick off interceptions. With all the individuals deserving of individual performances awards in this game, this was a Catamount team effort that ended a 22-game winless drought on the road for Western Carolina. A team effort that ended a SoCon road loss streak that stretched back to 2010 with WCU's last road win at The Citadel on Oct. 13, 2010. This was a team victory that ended the Catamount's 15-game SoCon road losing streak, an effort that gives Western its best start in football, since 2002 when the Catamounts opened the season 3-1. Purple & Gold congratulates every single player on the Catamount football team for their selection as WCU Player of the Game AND for this season defining win over the Furman Paladins. Below is a listing of the broadcast stations that will carry the Western Carolina at Furman football game. WJLA-3 Live Well DC: Washington, D.C.
Is it already week five? This week, we have almost a full slate of conference games. so this should shake the standings up a little. The premiere game is without a doubt Samford at Chattanooga, the teams picked first and second in preseason by the coaches. Should the Samford Bulldogs win, they would be 2-0 in conference play, after that convincing win over the Keydets of VMI last week. This game will open conference play for the Mocs, and a victory would solidify in the minds of most that they are the class of the SoCon this season. Two other games should attract lots of interest as well, as Western Carolina opens conference play at Furman. The Paladins already have a conference victory as well, with their win over Mercer and a victory over the Catamounts would put them at 2-0 and firmly in first place in the conference race. The Cats need a win over the defending conference champions to be taken seriously in the conference race or just to prove they have turned the corner and can win on the road. The other big game is a battle of the bulldogs, Gardner-Webb at The Citadel. Gardner-Webb comes to Charleston at 2-2, having just beat Wofford, but their two wins have been at their home field, and both losses were on the road. The Citadel is winless at this point, but their three losses have come at the hands of three undefeated teams. The SoCon certainly needs the Bulldogs to step up and knock off G-W, as the SoCon is currently 1-4 against Big South teams this season. Rounding out the rest of Saturday's games, Wofford hosts UVA-Wise while Mercer travels to Lexington for their first road conference game against the Keydets of VMI. This game should tell us a lot about both teams. Is Mercer for real, can the Keydets get their first conference win? Welcome to this week's Purple & Gold's Power Rankings. The power poll will be published weekly on Tuesday evening. This week (week 5), conference play starts in earnest, with the premier game - Samford at Chattanooga, while the Catamounts at Furman come in as close second. This is a vital game for both the Cats and Paladins for very different reasons. The Paladins have not only lost their starting quarterback, but their last two games as well due to an anemic offense. Has the Cats turned the corner and are they ready to break out in the SoCon? This game will give us some answers. The Bulldogs are coming off a big win over returning member VMI to the tune of 63-21, at this point both their offense and defense are firing on all cylinders. The Mocs are coming off a bye week, after a nice 42-6 road win over Austin Peay. Until the AP game, the offense has been sluggish and unpredictable, but seems to be on the upswing now. The Cats are coming off a bye week as well, giving them an extra week to work on that defense and fine tune that explosive offense. The Terriers take a rest this week after a hard fought loss to Gardner-Webb last Saturday. The Paladins return home for the first time since their early win over Gardner-Webb in week #1. The Paladins look to improve their offensive production after only scoring one touchdown in each of the last two losses. The Bulldogs are a somewhat surprising 0-3 coming into their first home game since an opening day loss to Coastal Carolina. The Dogs look to rebound from a 2 point loss to cross town rival Charleston Southern. The Keydets return to the site of their lone victory this season, Lexington, Va. They are taking on up and coming Mercer, and the Keydets are hoping their home field advantage lifts the team to a much needed win. The Bears take their first Southern Conference road trip to meet returning member VMI. The surging Bears are looking to prove the close loss to Furman was not a fluke. This Saturday afternoon in Greenville, SC, Furman will take the field against the Catamounts for their just their second home game of the season, after three tough road games for the Paladins. Furman brings a 2-2 record into the game, with opening wins against Gardner-Webb and Mercer before losing at both Presbyterian and SC State in close games. The Paladins are averaging only 13 points per game, 106 yards on the ground and 197 yards in the air per game. At this point in the season, the Paladins are holding down last place in scoring offense, but are in first place in scoring defense. 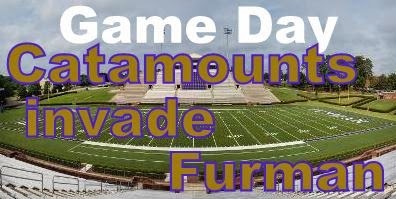 The Cats trail Furman 10-29-2 all-time in the series, and have lost 15 of the last 16 meetings -dropping eight straight, with the last Catamount win in 2004 over the then #2 ranked nationally Paladins. The defending conference champions Furman have not lived up to preseason expectations, with Furman ranked second in both preseason polls and opening the season at #18 in a national FCS poll. After the initial wins over Gardner-Webb and Mercer, Furman moved up to #12 in the national polls, then after the narrow loss to Presbyterian in game three, the Paladins dropped to #21 nationally. The loss of junior quarterback Reese Hannon in game one, has have a huge effect on the Paladin offensive side of the ball. A couple of fumbles turned out to be the difference in Charleston Southern's two point win over the Citadel in their first visit to Buccaneer Stadium for the Bulldogs. CSU took a 17-3 lead into the third quarter on the strength of Darius Hammond's 74 yard punt return for a score. The Bulldogs were able to get within two points as Isiaha Smith ran into the endzone on a one-yard touchdown run followed by a successful two-point conversion. The Citadel blew a final chance to take the lead and win the game in the final minutes, as they fumbled near midfield with 1:26 to play, which enabled the Bucs to run down the clock for the win. My pick was the Citadel 17-14, the final score was CSU 20 - The Citadel 18. In the only conference game of the day, VMI visited Samford for the first time as conference mates and came away a big loser. Samford quarterback Michael Eubank scored four of the Bulldog's eight rushing touchdowns, while running back Denzel Williams added 178 yards and two touchdowns on 16 carries. The Bulldogs went into halftime with a 49-0 lead, 'nuff said. Beatdowns like this against conference mates, have a way of coming back home to haunt you. My pick was Samford by 17, the final score was VMI 21 - Samford 63. For the week, I was 3-2. I actually thought we'd win both games against the Big South, but close only counts in horseshoes and handgrenades. Ave Maria at Mercer - Bears roll over helpless Ava Maria in another cupcake win. Welcome to this week's Purple & Gold's power rankings. The power poll will be published weekly on Tuesday evening. Next week (week 5), conference play starts in earnest, with all teams playing a conference game, except Wofford and The Citadel. For the second time in three weeks, Troy Mitchell has been selected in this week's game as Purple & Gold's Player of the Game. The junior quarterback threw for a total of 223 yards and two touchdowns in 16 of 27 in pass attempts. Mitchell added 23 yards rushing to his total in 5 carries and another touchdown. Mitchell tossed first quarter strikes of 44 yards to Spearman Robinson and 56 yards to second-year receiver Willie Police for his first collegiate TD as WCU pulled out to an early, 14-0, lead. Mitchell then guided the Catamounts 70 yards in six plays, capped by his 19-yard touchdown run, to pull-ahead, 21-10. Mitchell threw for 223 yards on Saturday, the second-most yards through the air in his WCU career, and his two TD passes represented the second time this season - and the seventh time in his Catamount career - that he had tossed two-or-more touchdowns in a game, Mitchell added his second rushing TD of the season, and the 12th of his career, to account for three TDs in the game. Purple & Gold congratulates Troy on his selection as this week's Player of the Game. South Atlantic Conference member Catawba College opened their season with a 35 -7 beat down of Division I, FCS football opponent lightweight, Davidson College (Pioneer League) last Saturday night at Richardson Field on the Davidson College campus. In Catawba's victory over the Wildcats, the Indians out-rushed Davidson, 310 yards to 91 yards, and combined with the 179 yards Catawba gained in the air, the Indians put up a total of 489 all purpose yards. The Indian;s sophomore QB, Mike Sheehan was named this week's SAC offensive player of the week, as he connected on 12 of 13 pass attempts for 174 yards and three touchdowns. Sheehan averaged 13.4 yards per strike, and rushed for 56 yards. Catawba and Western Carolina have not met since the 1969 season which was the last game of 28 meetings between the two schools. In the last contest played, Bob Waters was in his first season as head coach at WCU, and the game was played in Memorial Stadium (behind the Stillwell Science building). The Cats won that game and went on to a 9-1 overall record that year. The Cats own a 2 two game win streak over the Indians, but are only 8-18-2 against Catawba overall and are 3-6 in Cullowhee. The head coach of the Indians is former WCU defensive coordinator, Curtis Walker. The Indians placed four players on the SAC preseason all-conference teams: Taylor Fender (OL), Jonathan Jean (DL), Jason Taylor (LB), and Cary Littlejohn (RB). The Series: The Catamounts and Indians first met in 1933 after Western Carolina joined the newly formed North State Intercollegiate Conference, commonly known as the Old North State Conference. The Old North State later became the Carolina's Conference with the addition of the first school from the state of South Carolina, Newberry College in 1961. WCU and Catawba played yearly conference games from 1933 until 1969. During that period, Catawba dominated WCU on the football field, with the Indians owning a 18-8-2 record over the Catamounts. Their conference: The South Atlantic Conference (SAC) - The South Atlantic Conference is in its 38th year as a NCAA Division II conference. Their coach: Curtis Walker - Former defensive coordinator and linebacker coach at Western Carolina, Walker is in his second season as head coach at his alma mater. Prior to WCU, Walker spent 10 seasons as the DC at Coastal Carolina. SPARTANBURG, S.C. – The Southern Conference today (Sept. 10) introduced the SoCon Digital Network, a collaboration of the athletic departments of the 10 member institutions, designed to provide live and on demand video-streamed events for viewers. The network may be accessed at either socondigitalnetwork.com or socondn.com. In its inaugural year, the SoCon Digital Network will feature more than 400 live events, as well as highlights, interviews and student-athlete profiles. Video will be provided in high definition with users having a robust menu of functionality, including DVR controls, picture-in-picture, slow motion, video on demand, and some integration of live stats. All content will be free to viewers. In an effort to achieve a desired level of quality control, members will initially be required to produce home contests in four selected sports – football, volleyball, men’s basketball and women’s basketball. Some institutions are already prepared to produce live content for additional team sports, while others will gradually add sports. Events carried on national or regional television networks, as well as those on a national broadband carrier like ESPN3, will not be available on the SoCon Digital Network. All Conference championships will receive coverage and events shown live on the network can later be accessed by viewers on demand. Special campus events of a non-athletic nature will also be featured. The SoCon Digital Network’s provider is NeuLion, whose video client list includes the NFL, NBA and NHL. South Atlantic Conference member Catawba College opened their season with a 35 -7 beat down of Division I, FCS football opponent Davidson College on Saturday night at Richardson Field in Davidson, NC. In Catawba's victory over Davidson, the Indians out-rushed Davidson, 310 yards to 91 yards, combined with 179 yards gained in the air, for a total of 489 yards gained. Sophomore QB Mike Sheehan was named this week's SAC offensive player of the week, he connected on 12 of 13 pass attempts for 174 yards and three touchdowns. Sheehan averaged 13.4 yards per strike, and rushed for 56 yards. Catawba and Western Carolina have not met since the 1969 campaign which was the last of 28 meetings between the schools, until this season. 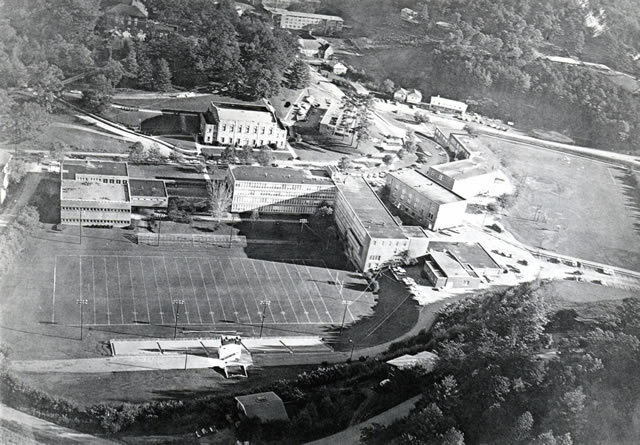 In the last contest between the two schools, Bob Waters was in his first season as head coach at WCU, and the game was played in Memorial Stadium (behind the Stillwell Science building). The Cats won that game and went on to a 9-1 overall record that year. The Cats own a 2 two game win streak over the Indians, but are only 8-18-2 against Catawba overall and are 3-6 in Cullowhee. Of course, the head coach of the Indians is former WCU defensive coordinator, Curtis Walker. The Indians placed four players on the SAC preseason all-conference teams: Taylor Fender (OL), Jonathan Jean (DL), Jason Taylor (LB), and Cary Littlejohn (RB). The Series: The Catamounts and Indians first met in 1933 after Western Carolina joined the newly formed North State Intercollegiate Conference, commonly known as the Old North State Conference. The Old North State later became the Carolina's Conference with the addition of the first school from the state of South Carolina, Newberry College in 1961 .